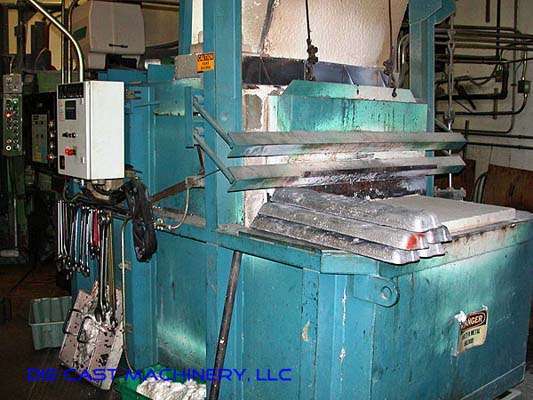 For Sale One Used (Second Hand) Schaefer 600 pound per hour, melting and holding furnace. Inventory item: DCM-2674. One Used (second hand) Schaefer 600 pound per hour, 5,200 pound capacity, natural gas, melting/holding furnace, serial number 8-00-0041, new in 2/2001.